Drago vs Ramirez dePietro go! "Do ya feel lucky? Because you'd better start runnin' while you still can." Edgar Rice Burroughs, forgotten legend of the word. The 4/02/19 random card of the day is Noble Elephant. If you have any comments, combos or a decklist involving this card, feel free to share. 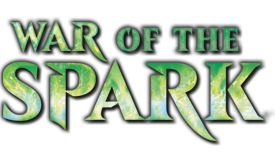 If you band it with Dream Fighter or Elven Warhounds, the 2 damage is almost guaranteed to get through to your opponent. 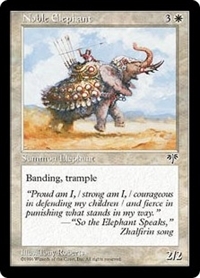 I'm glade we got this for our copies 5-8 of War Elephant. Banding and Rampage need to make a come back... let's really confuse the new power-crept players with some old mechanics. I'll block your Ghalta, Primal Hunger with my Benalish Hero and take no damage. The 4/03/19 random card of the day is Planar Birth. If you have any comments, combos or a decklist involving this card, feel free to share. I love this card aesthetically. 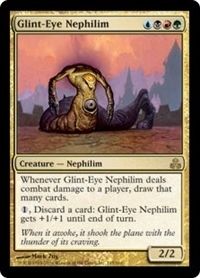 The 4/04/19 random card of the day is Glint-Eye Nephilim. If you have any comments, combos or a decklist involving this card, feel free to share. The 4/05/19 random card of the day is Retribution. 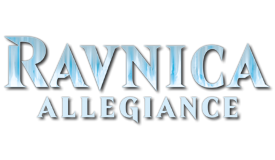 If you have any comments, combos or a decklist involving this card, feel free to share. 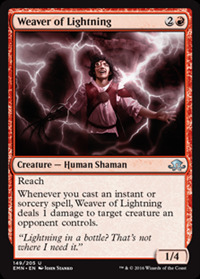 The 4/08/19 random card of the day is Weaver of Lightning. If you have any comments, combos or a decklist involving this card, feel free to share. 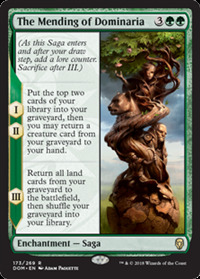 The 4/09/19 random card of the day is Skirk Ridge Exhumer. If you have any comments, combos or a decklist involving this card, feel free to share. 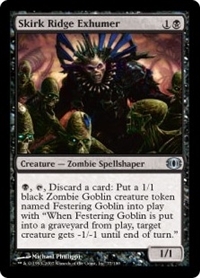 My favorite card to discard with spellshapers is Squee, Goblin Nabob. These token generating Spellshapers were an interesting cycle. 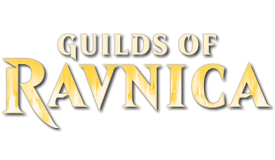 would have liked to see a Rare [or mythic] cycle that created larger creatures. 6U, T, discard a card: Put a 6/6 blue Rabbit Mutant creature token named Vizzerdrix onto the battlefield. 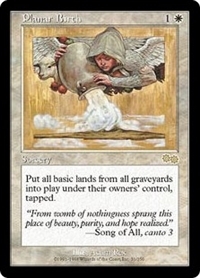 Granduer- 2UUUU, discard this card: If you control ten or more creatures named Vizzerdrix, you win the game. 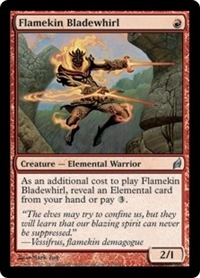 The 4/10/19 random card of the day is Flamekin Bladewhirl. If you have any comments, combos or a decklist involving this card, feel free to share. 3R for a 2/1 is a bad deal, so it's obviously designed to work in the set and forced players to reveal their hands. 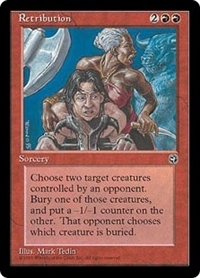 The 4/11/19 random card of the day is Alesha, Who Smiles at Death. If you have any comments, combos or a decklist involving this card, feel free to share. 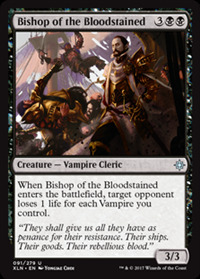 The 4/12/19 random card of the day is Bishop of the Bloodstained. If you have any comments, combos or a decklist involving this card, feel free to share. 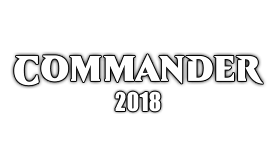 I use this guy as my commander for a basically white weenie commander deck (with a larger spalsh of red, and a few black cards, because I can). 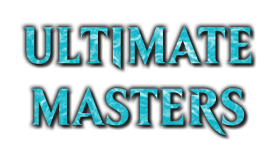 The deck runs quite a lot of the 2/2 double strikers in the game, which are legal targets for Alesha's ability. So Alesha brings in a creature with essentially 4 power. 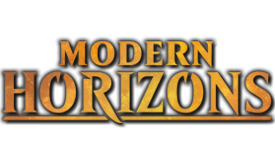 Add in stuff like Honor of the Pure, Spear of Heliod, etc. and suddenly you are bringing back a major threat for just 2 mana. The 4/15/19 random card of the day is The Mending of Dominaria. If you have any comments, combos or a decklist involving this card, feel free to share. Works great on the curve with another saga. Fall of The Thran. 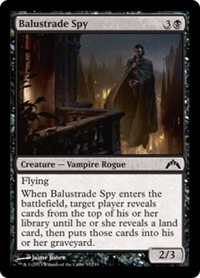 The 4/16/19 random card of the day is Balustrade Spy. If you have any comments, combos or a decklist involving this card, feel free to share. I can't imagine a hermit druid that can be activated the turn it enters play being good or anything. Can you? 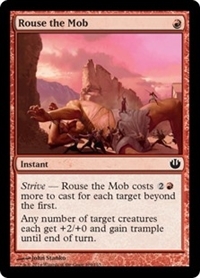 The 4/17/19 random card of the day is Rouse the Mob. If you have any comments, combos or a decklist involving this card, feel free to share.